BREAKING 2012 NEWS: Story is 5.5 Earthquake hit Montreal Ottawa, branched off to Toronto and New York. I have the Hamilton News channel on now and they really felt it down there. health info, Indian in the machine music, videos, events, updates and more. Indian in the machine writes: I was expecting this earthquake at some point. No really…. the reason being, is that I had posted a channeling a few months ago regarding earth changes….in that channeling is a map….please take a look at that map. Notice how the mississipp river will eventually open a channel all the way to the Great Lakes. I wonder if people in Canada will become more concerned about the Gulf of Mexico oil spill once that channel opens up? 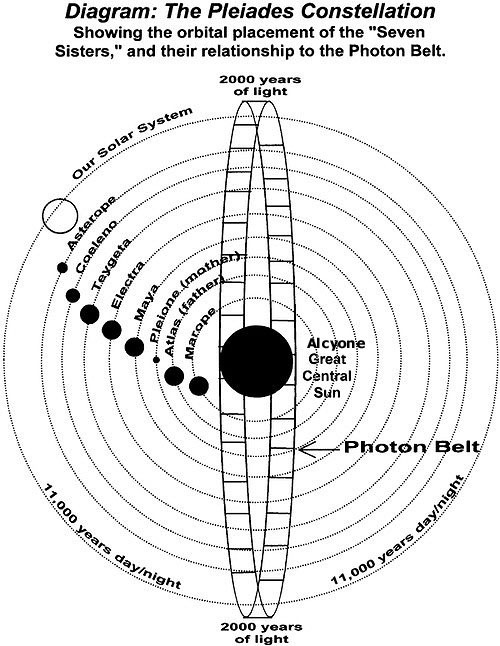 2000 YEARS OF ALL LIGHT! Dieter writes: This info was presented in 1992….the situation has changed somewhat since it appears that humanity has in fact attracted visitation from off worlders. However since anything can happen at anytime, it’s probably a good thing to know what to do in case we do enter a period of three days of light or darkness BEFORE official first contact. Enjoy the read, and feel free to share with loved ones so that they’ll know how to prepare. Hatonn present to continue. As always I come in service to God of Holy Light. Amen and AHO! The “Seven Sisters” star constellation (seen in the Northern Hemisphere directly overhead in November), also known as a miniature version of the Big Dipper, is directly connected to the history of your planet. And you thought you were just spinning out here all to yourself! ALL is connected to God, my friends. no longer need you to deny who you are…2010 is a year to boldly go where you haven’t allowed yourself to go before….a step into the familiar unknown….thank you to the many inspirational messages I have received from many of you…I have offered my hand in brotherhood out to you, and you have reached back to me and to the world. I have recently been inspired once again by Anne and Patrick Bellringer….check out this list of humanitarian projects that they have collected…..new energies ideas, new intentional communtities….new ways to gather spiritually….very inspiring read! Maybe there is someone in this list who will be a wonderful fit for what you desire to offer as your service to Creation…. Please note; this is a One-way List, so Do Not Reply to it. I wish for all of you the Best Time that is to come. As we looked out to the eastern sky tonight, Bob asked, “Isn’t that a ship? I looked more closely and sure enough I knew it had to be. It was bigger than we usually see, but nonetheless it was surely one of our family of the heavens. When I tuned in, I immediately sat at the computer and the following is what I received.